According to the Chancellor the government will also “tackle welfare bills” by not increasing welfare payments at the same rate as inflation and the government will also remove some tax concessions currently available to low income earners. 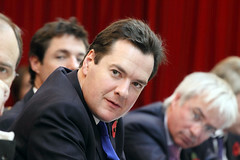 During his interview the Chancellor also announced that the government would soon give more funds to the country’s tax authorities in order to provide the resources necessary to launch new programs and investigations into the issue of large multinational companies avoiding excessive amounts of taxes in the UK. However, while George Osborne did say that efforts will be made to ensure that wealthy taxpayers and large companies will be forced to pay their fair share, the government will also take steps to make sure that Britain remains to be a attractive destination for international businesses.